Deaf Awareness Week is a national week of celebrating deafness. It is observed annually throughout the last full week of September. 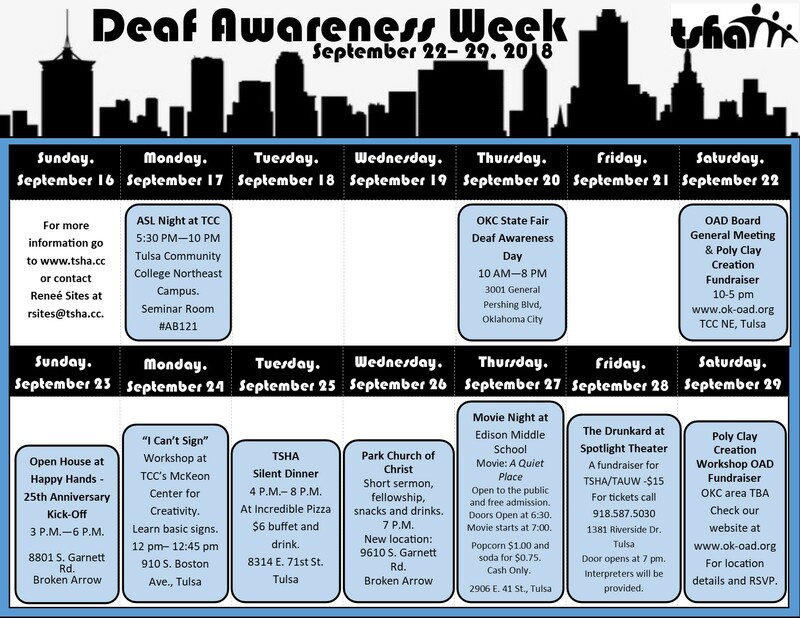 The week focuses on promoting the positive aspects of deafness, encouraging social inclusion, and raising awareness of the organizations that support those who are deaf. Each year a consortium of Tulsa area deafness-related organizations puts together a fun variety of events you won’t want to miss. Tuesday, September 25 - Biggest Silent Dinner of 'Em All! DAW is already well underway, but be sure to catch the LARGEST event of the week! 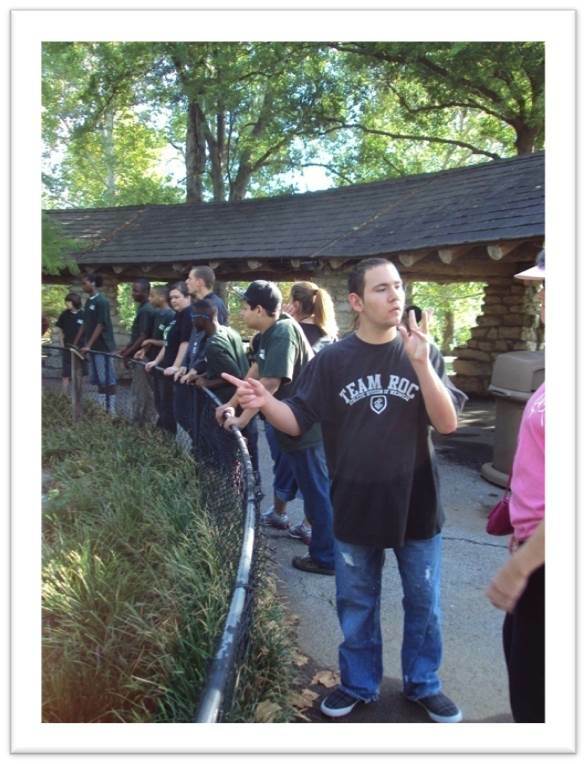 We expect 200 - 300 people to turn out to enjoy socializing in sign language (from very beginning to native signers), as well as all-you-can-eat food buffets! MUCH more than pizza...even gluten-free options, soup and salad bar, etc. The event actually runs til 7:45, but you should aim to arrive by 6ish, as the dining room staff will want us to clear out between 7:30 - 7:45 so they can clean. You can keep chatting in the game room until 9:00! Don't want to eat? Get a wristband at the front desk and just come socialize - no cost. Park Church of Christ 7 P.M.
Short sermon, fellowship, snacks and drinks. Friday, September 28 - "The Drunkard" Interpreted! To wrap up the week in style, you and all your friends and family are invited to a "party for our community"! Join the fun! Door opens at 7 pm. Interpreters will be provided. For more information, call 918.832.8742 v/tty or contact Renee' Sites at 918.932.2022 vp or email rsites@tsha.cc.